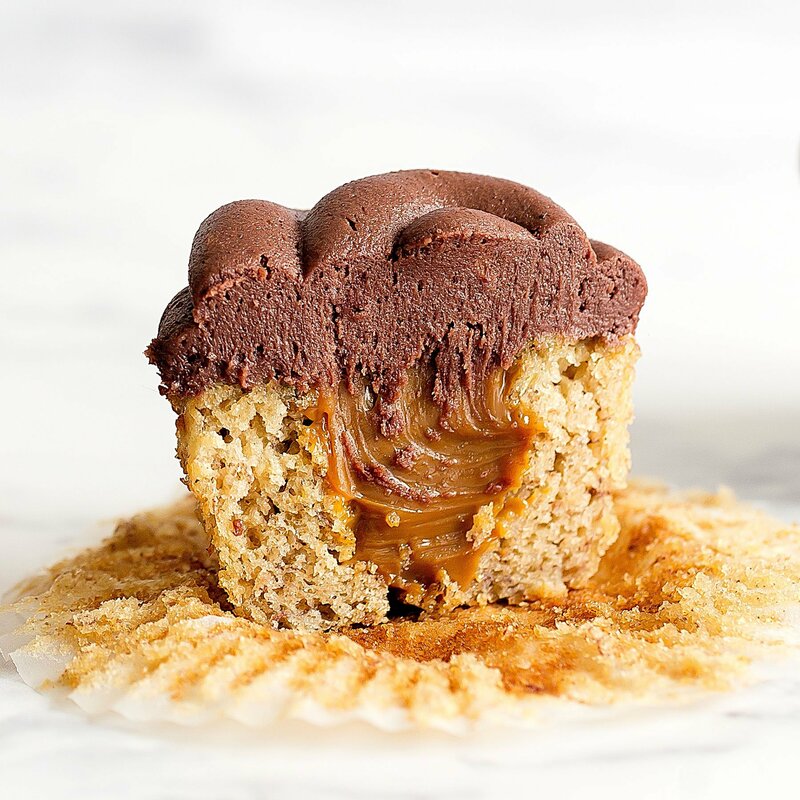 Dulce de Leche Stuffed Banana Cupcakes with Chocolate Cream Cheese Frosting are out of this world tasty and bound to become your new favorite cupcake! 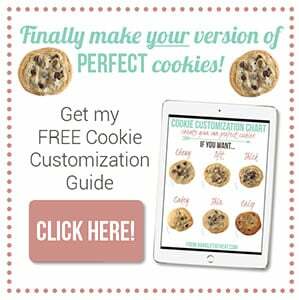 Get my FREE Buttercream Guide here! Let’s face it, the world has been pretty over-saturated with cupcakes over the last few years. I mean, there are cupcake ATMs now. We live in a ridiculously awesome world, but I can see why people might be tired of cupcakes. That’s why whenever I share a cupcake recipe with you all it has to be a REALLY fantastic one. 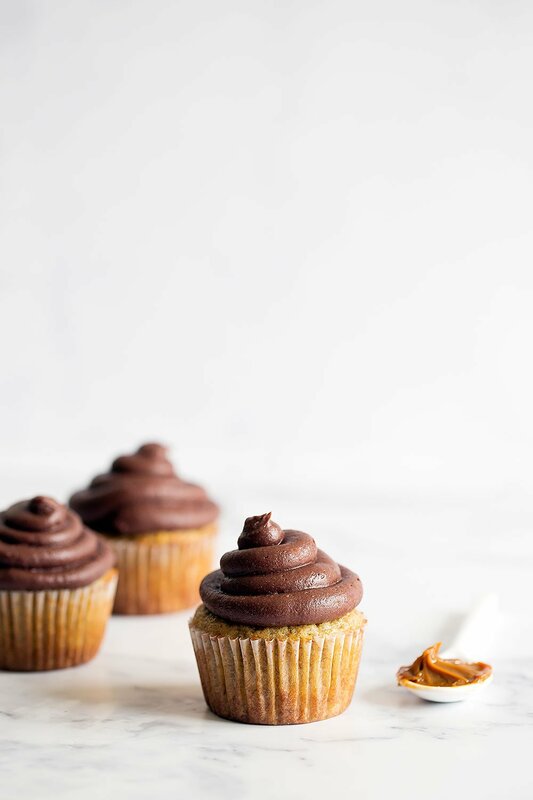 Fantastic is definitely a word to describe these dulce de leche banana cupcakes with chocolate frosting because I think everyone should make them immediately after reading this post. Super moist and tender banana cupcakes are filled with dulce de leche then topped off with chocolate cream cheese frosting. I challenge you to think of anything better than that. 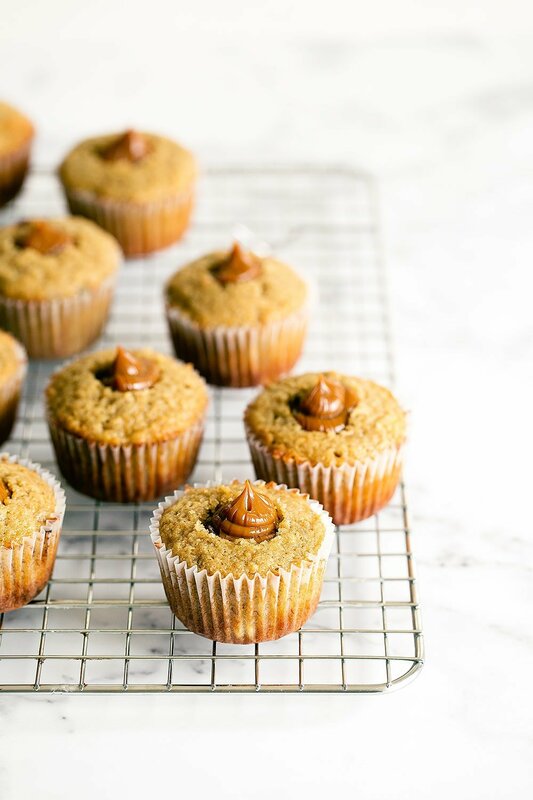 It’s seriously my new favorite cupcake recipe and I hope it’ll be yours too. By the way, in case you haven’t seen it before, dulce de leche comes canned and can be found at many grocery stores in the Latin food section. The most common brand is Nestle (it’s packaged in a tin can). I’ve also seen higher end versions at specialty stores like Sur la Table, Williams-Sonoma, and World Market. You can also make your own dulce de leche with sweetened condensed milk. 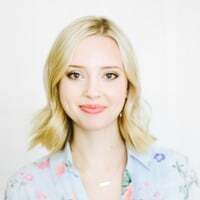 This post was originally published in 2014 and recently updated with weight measurements and new photos by Ashley McLaughlin Photography. Adoro suas receitas. Obrigada . Tinka, you definitely need at least a dozen of these cupcakes in your life to sweeten it up a bit. With such hateful comments don’t know how anything you make will come out tasteful. I love your photographs Tessa, wish I could take them as good as these, will try the recipe on our summer stall next week they appear so yummy! 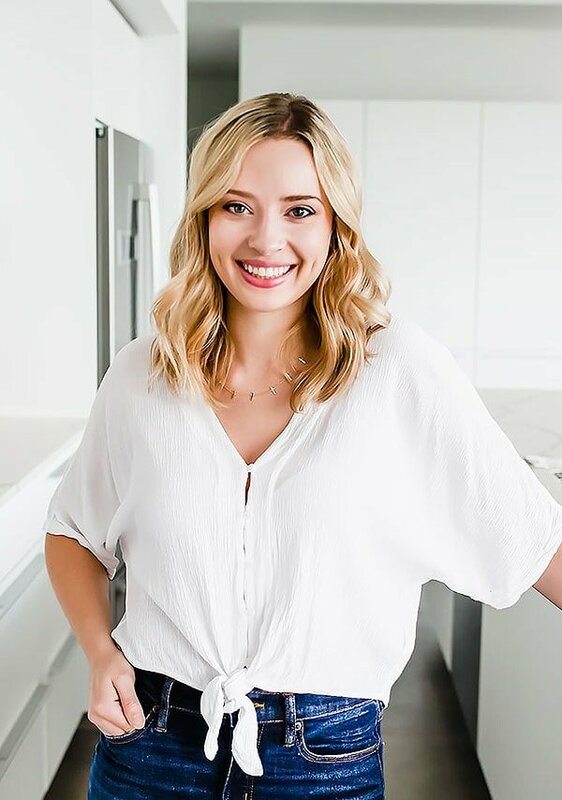 I love your blog and recipes. Love baking period. 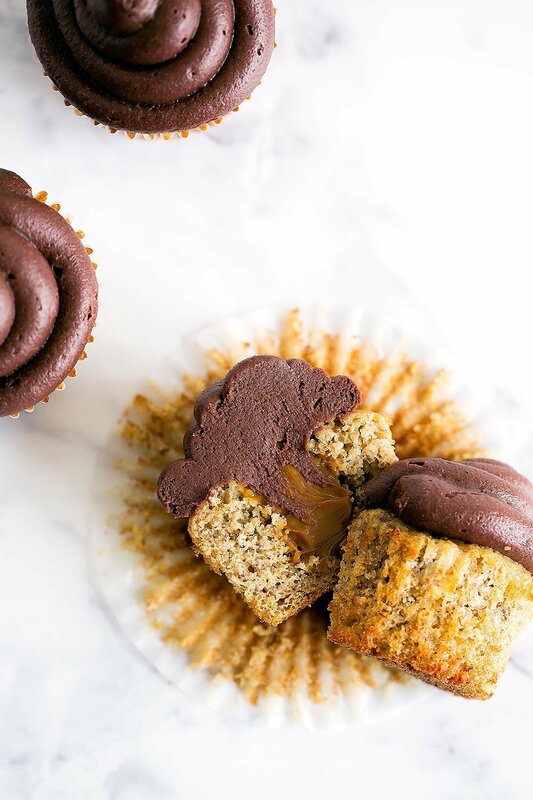 I want to try these cupcakes because I have overripe bananas left over every week. Little tried of banana bread and smoothies. Plus the cupcakes look totally delicious. My question is how do you make perpared dulce de leche. Just a comment regarding the mix-up from Tinka, and I noticed she wrote an updated review. The problem is using the American Imperial measurement system as compared to the metric system. Most people don’t realize that WEIGHT OUNCES are not the same as FLUID OUNCES and so many recipes have bad reviews because of that. A liquid cup is always 8 fluid oz no matter what is in the cup = 240 ml. However, a weight measure of ounces changes with material. A cup of sugar is 200 g = 7 oz and a cup of AP flour is 127 g = 4.5 oz and a cup of cotton candy is 12 g = 0.4 oz. As a rule, when it is dry, use the scale in ounces or grams, when liquid, use the liquid measuring cup for fl oz or ml. 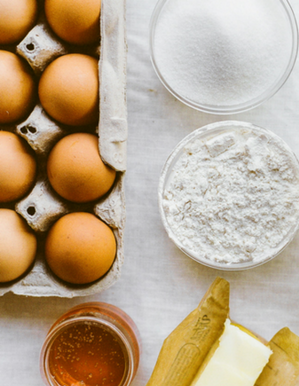 Amazing blog and amazing recipes. I appreciate that you use exact gram weights in your great recipes which rings back here again and again.